Born in Morocco, Chef Marc Vaca carried out his professional culinary training in Paris where he obtained the "Certificat d’Aptitude Professionelle (CAP)" and the “Brevet d’Études Professionnelles (BEP)” in cuisine. His education included apprenticeships in Paris at the restaurant of the George V hotel and the Grande Cascade as well as in London at the Hyde Park hotel. Chef Marc Vaca then decided to expand his culinary horizons gaining a number of years experience in prestigious restaurants. Having worked as sauce chef and 'sous-chef” at the Royal Mansour hotel in Morocco, Chef Vaca moved to Australia where he worked at Chloe’s Restaurant. Chloe’s restaurant received many accolades during the time in which Chef Vaca was cuisine Chef including the title of “Chef of the Year”. In 2000 Chef Vaca decided to share his passion for cuisine by becoming a teacher at the TAFE Institute in Adelaide where he taught for 2 years before deciding to return to the kitchen. Amongst other achievements, Chef Vaca worked as an Executive Chef in New Zealand and opened his own restaurant in Pontarlier, France. 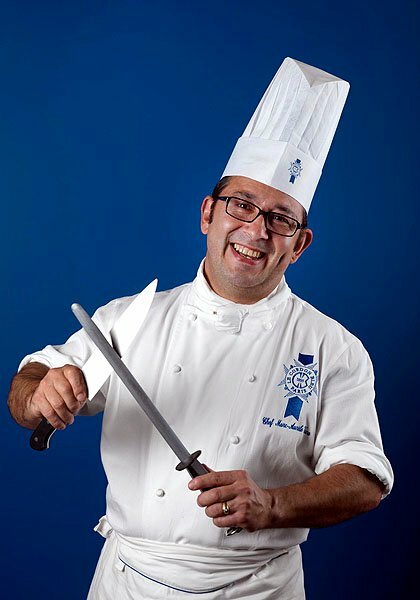 Chef Vaca joined Le Cordon Bleu Paris team of Chef Instructors in 2012.